Hamad Medical Corporation (HMC) is the premier non-profit healthcare provider in Qatar. Founded in 1979, HMC has rapidly developed medical facilities capable of providing advanced diagnosis and treatment of diseases that previously could only be managed in overseas medical institutions and faculties. 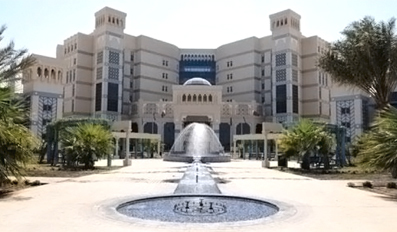 HMC hospital in Al Warka, Qatar. As all hospital environments, the Al Wakra branch of Hamad Medical Corporation found themselves spending too much effort on keeping track of their staff attendance and payroll. After consulting several firms, they came to us at World Connection for a solution to automate the attendance of their employees. A few discussions later, we decided that the best system for them to use would be FingerTec TA200 Plus together with the TCMS V2 software. The units were installed, and the relevant personnel managing the system were put through a training session to learn how to use the system. state-of-the-art hospitals and a research center will be soon be delivered by World Connection at Hamad Medical City, and we have our fingers crossed!